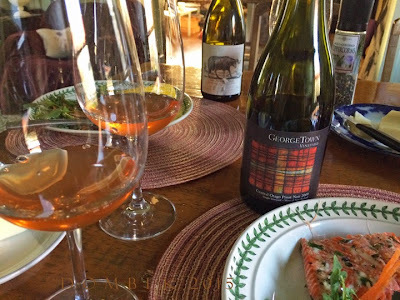 Have you had Orange wine?! When my friend Brendon called spontaneously and asked me if I'd like to try some wine later, I said sure! I'll put together some food ... come on over. He made me close my eyes and taste ... ahhh ... Elixir?? What is that?! This Orange wine or wine grown on Limestone in Waipara Gorge, New Zealand was a complete enigma, utterly delightful! Ripe with personality, complexity, balance and approachability, this is a unique blend of Pinot Noir, Sauvignon Blanc, Riesling, Pinot Gris and Semillon, savoury to the tongue and lilting to the Spirit! Notes of orchard fruits, juicy ripe peach and pink grapefruit first come to mind. Later white pepper, orange blossom, nectarine and even essence of watermelon. Beautifully integrated! Winemaker is Theo Coles. Some time after study and travels, he connected with Gareth Renowden, owner of Limestone Hills Vineyard in the Waipara Gorge and they agreed to make some wine together. The farm where vineyard is located also grows truffles and olive oil. Some thoughts ring true ... Small scale winemaking project. Naturally farmed. Hand-made, bottled & labeled. Labour of Love. Skin fermented orange field blend. Wines on Limestone. The juice spends two months on skins, with time in a concrete barrel after fermentation. Artwork for the label came from an etching he purchased while traveling. Expressive of a unique straightforwardness and individuality in wild and natural terrain. 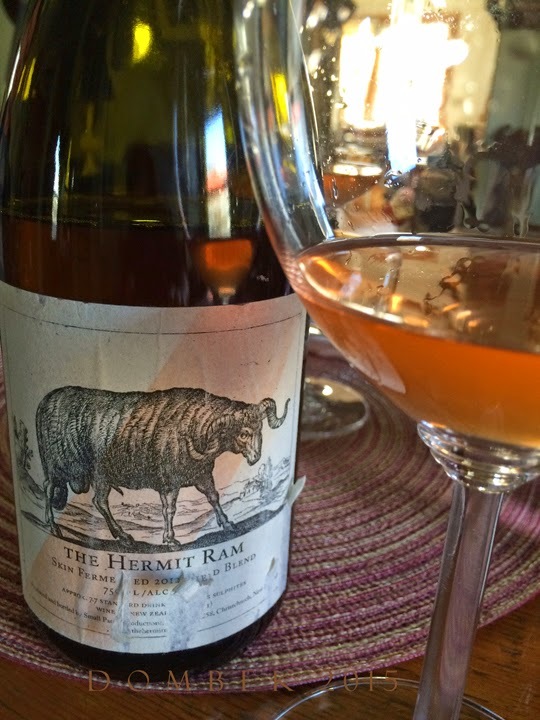 THE HERMIT RAM. Completely fitting! 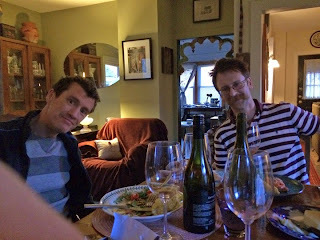 As Brendon continued his search for unique wines from his native New Zealand to bring back to the states, he called upon Ian Dee, Owner of Georgetown Vineyard. He recalls he was a warm, humble man who welcomed him in to his small mud tasting room hut. 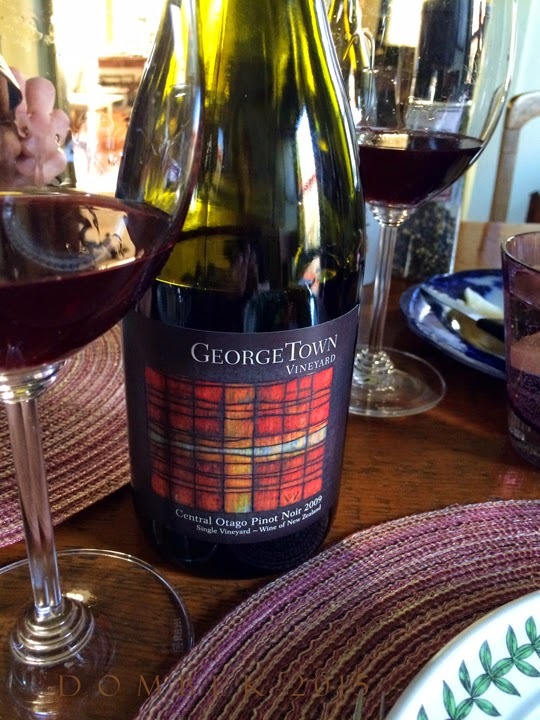 For this reason, and based on how good the newer vintages were that he had tasted, he was moved to purchase this particular pinot noir, vintage 2009 and had not tasted it until this moment! Fermented with indigenous yeast, only 283 cases made. And this the last bottle in existence for this vintage. Special! Georgetown Vineyard is located in the South Island region of New Zealand, near the entrance to Kawarau Gorge next to the Kawarau River in Cromwell, Central Otago. Climate is Continental vs. Maritime, with hot summers and cold winters. This hand crafted, single vineyard wine is a true expression of its terroir, according to viticulturist Ian Dee. Grapes are planted in the tradition of Burgundy, with narrow rows, short trunks and very low yielding vines. 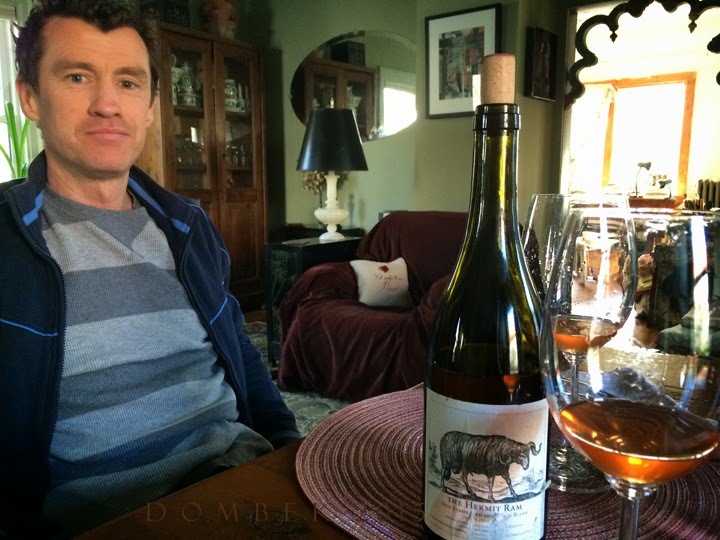 This particular vintage was made with renown winemaker Duncan Forsyth, from Mount Edward Wines, who uses no chemicals with as little intervention as possible in his wines. He uses organic and biodynamic practices to ensure health of the vineyards. As Central Otago soils consist mostly of schist, loess and alluvial gravels, with little organic matter and low rainfall, the beneficial nutrients and minerals needed to nourish the vines are way down deep in the subsoil. Without the use of synthetic fertilizers and herbicides his vines are much healthier, with roots able to forage deep down for all the nutrients they need ... and I daresay for all that expression of terroir! As if guided by the Wine Angels that day, I chose some fresh sockeye salmon with salad of mixed arugula greens, herbs, shaved carrot, etc. This paired miraculously with both of the wines. These are some of the most soulful and stunning wines I've tasted from New Zealand. They are not yet available here. If I were you I would start pestering your local retailers, distributors and importers ... Bring it! This seems to be a nice place. Though i don't like wine but the place also matters. So if i ever got a chance to visit New zealand would prefer to go here.